I saw a picture of this toast on Tasty Yummies Instagram and had to make it immediately. It just looked so lovely and yummy. It takes a few minutes to make.. just toast bread and spread a layer of tahini on each slice (I used almond butter instead). Then top with apple slices and drizzle with honey and fresh thyme leaves. It’s a perfect breakfast or even an appetizer. It’s got the best of both worlds- a bit of sweet & savory in one bite. Spread a layer of tahini on each slice of toast. 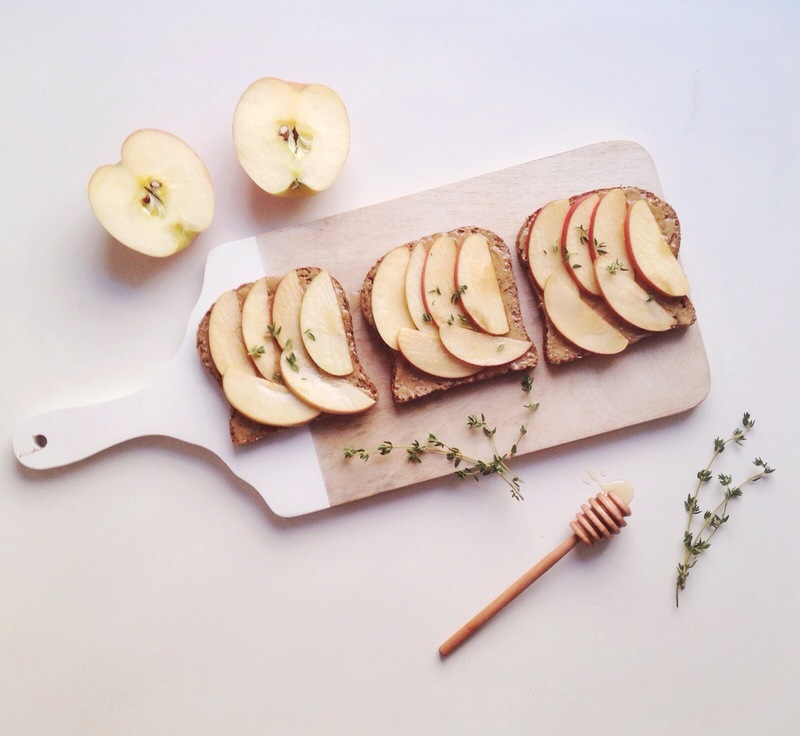 Top with apple slices and a drizzle of honey, top with some fresh thyme and a little sprinkle of sea salt, if you’d like.